A new project that has been a while in the planning and an additional member to our ‘Petrosphere’ family. 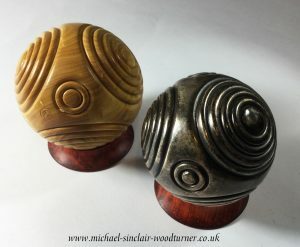 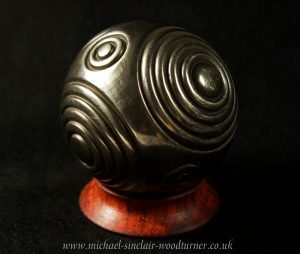 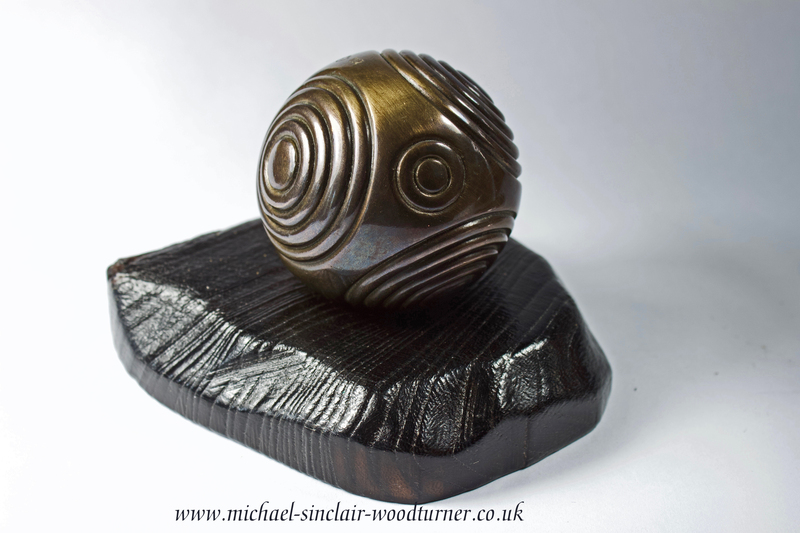 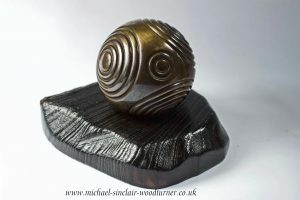 This all began several months ago with Michael turning a Neolithic inspired ‘Petrosphere’ from boxwood which was then sent down to a Birmingham foundry for a mould to be made. 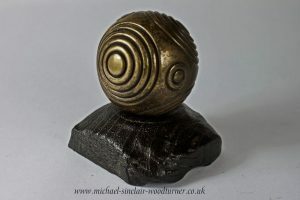 The mould was then used to cast the bronzes. 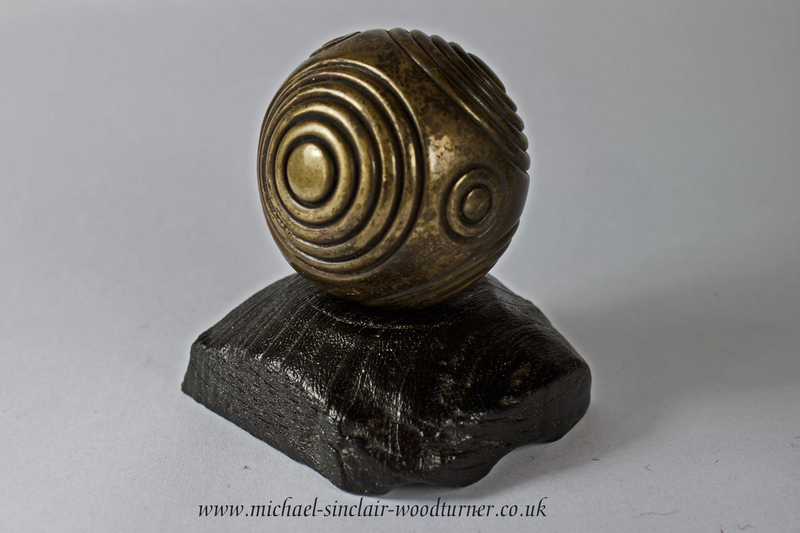 The foundry used the lost wax method and the petrospheres were cast, fettled and sent to us. Michael added the patina here in his workshop and also turned a base. 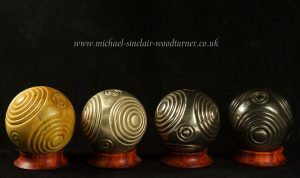 In the mean time I have been sourcing suitable packaging. 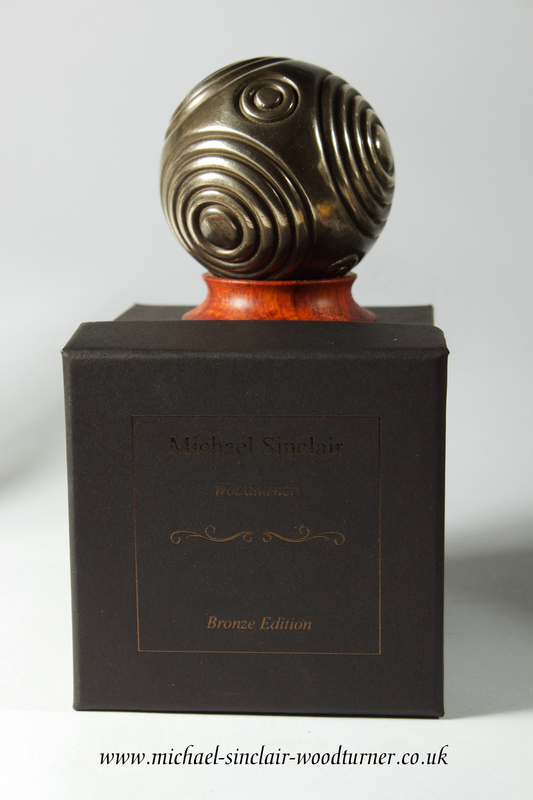 Each bronze comes in a gorgeous deep red burlap bag in a presentation box with an embossed lid. A certificate of authenticity, signed and dated, completes the package. As with most bronzes this will be a limited run, although at the moment we have not decided how many. 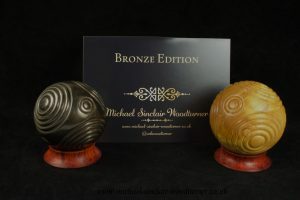 These bronzes are exclusively for sale in our gallery and onlineshop.